Mr Henderson, who was aboard with his partners, was named as her owner but in fact the steamer had been stolen and her appearance and her name had been altered. A false story had also been concocted about her passage to Australia. Henderson had chartered the ship from her owners, claiming to be a wealthy man wanting to take his ill wife on an extended cruise of the Mediterranean. This cruise consisted only of being sighted passing Gibraltar in daylight before slipping back into the Atlantic under cover of darkness. The ship was then taken to the Cape Verde Islands for ballast and water and across the Atlantic to Santos in Brazil. A cargo of coffee was loaded at Santos, which was sold on reaching Cape Town. From there the passage continued to Mauritius, Albany for coal, and then to Melbourne. Henderson hoped to sell the ship in Melbourne or Sydney but his crime was discovered because an alert constable at Queenscliff correctly identified the India as the SS Ferret and informed his superiors. He had seen a ‘Lost, Stolen or Strayed’ notice in a Scottish newspaper, The Scotsman, which had arrived only days before the ship. To keep the crew from talking, Henderson threatened to shoot any man who talked and he also offered them money. When he was arrested, however, the crew members quickly gave evidence against him to avoid being involved. Henderson and his partners went to jail and the ship’s owners sold her in September 1881 at Melbourne. 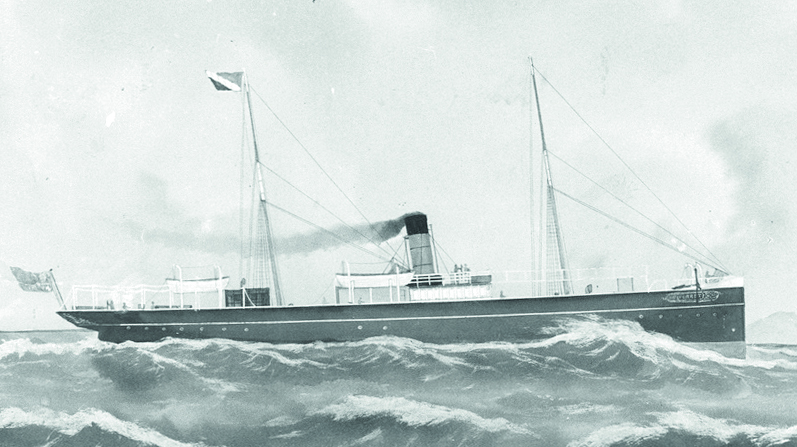 The SS Ferret worked around the southern coast of Australia until she was wrecked in South Australia in November 1920.